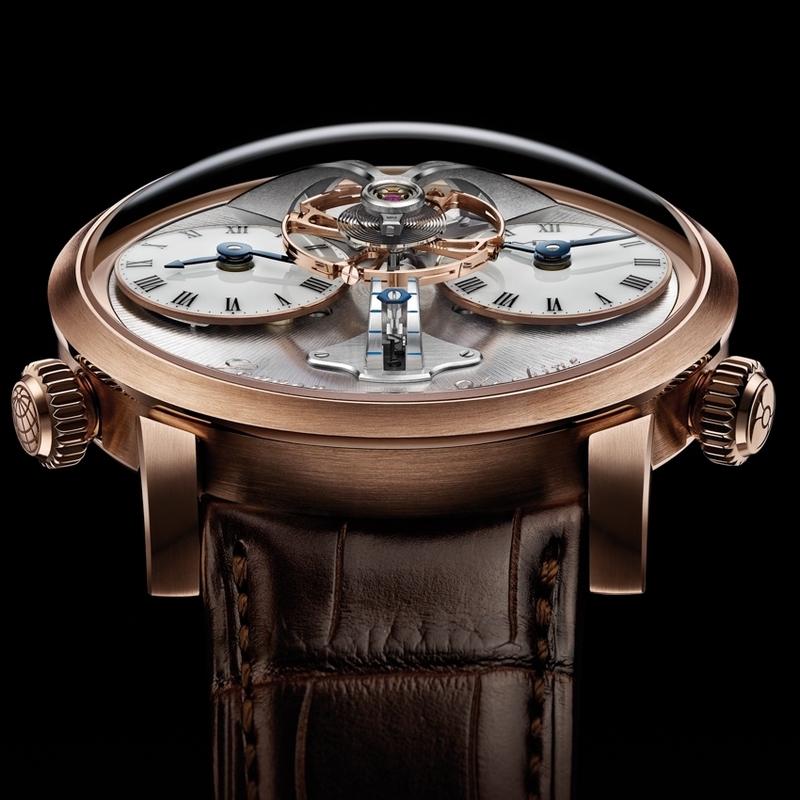 With its monumental central balance, magnificently decorated movement, fully independent dual time zones, unique vertical power-reserve indicator and elegant annular case, Legacy Machine No1 is a tribute to the great innovators of traditional watchmaking, and an authentic MB&F Horological Machine. 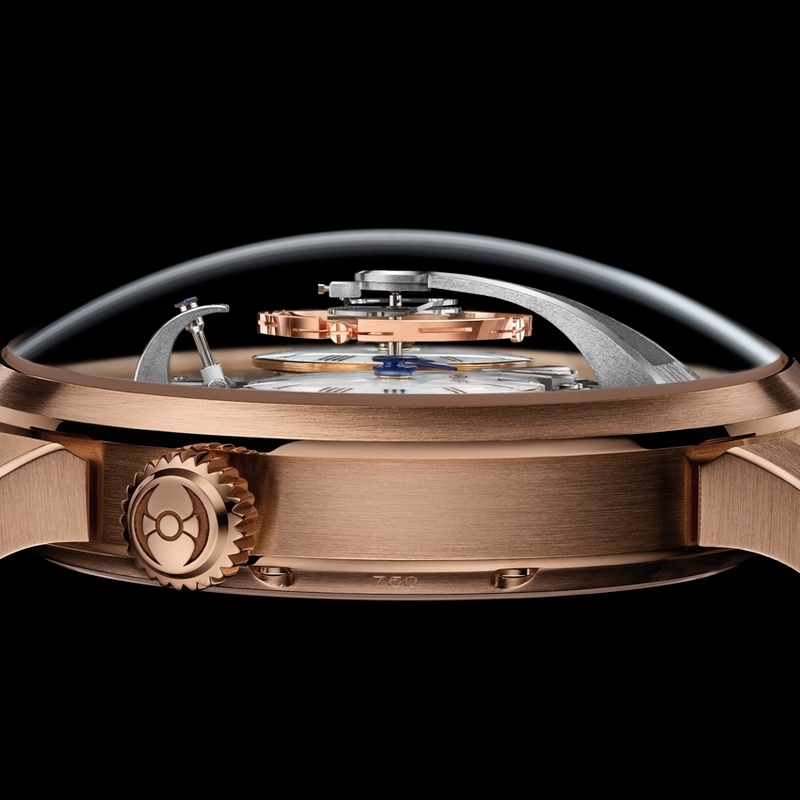 The idea took seed when Maximilian Büsser got to wondering what he would have invented had he been born a century earlier… a question he answered with help from the friends with whom he imagined this unique timepiece. 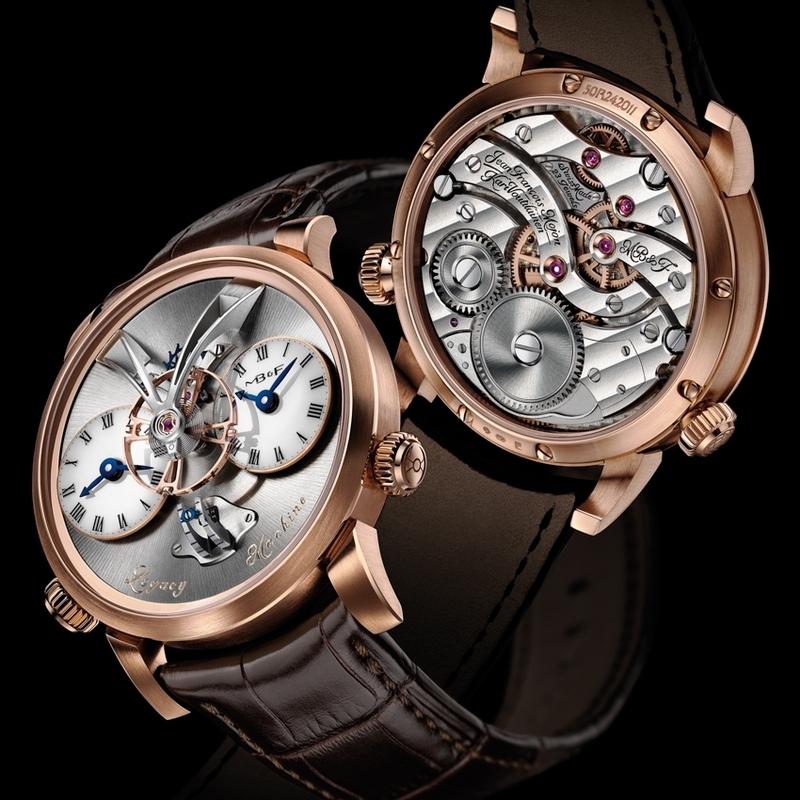 The in-house movement is testimony to the immense talent of its creators: Jean-François Mojon who rose to the challenge of imagining the calibre from a blank sheet, and Kari Voutilainen who guaranteed the historical accuracy of the style. 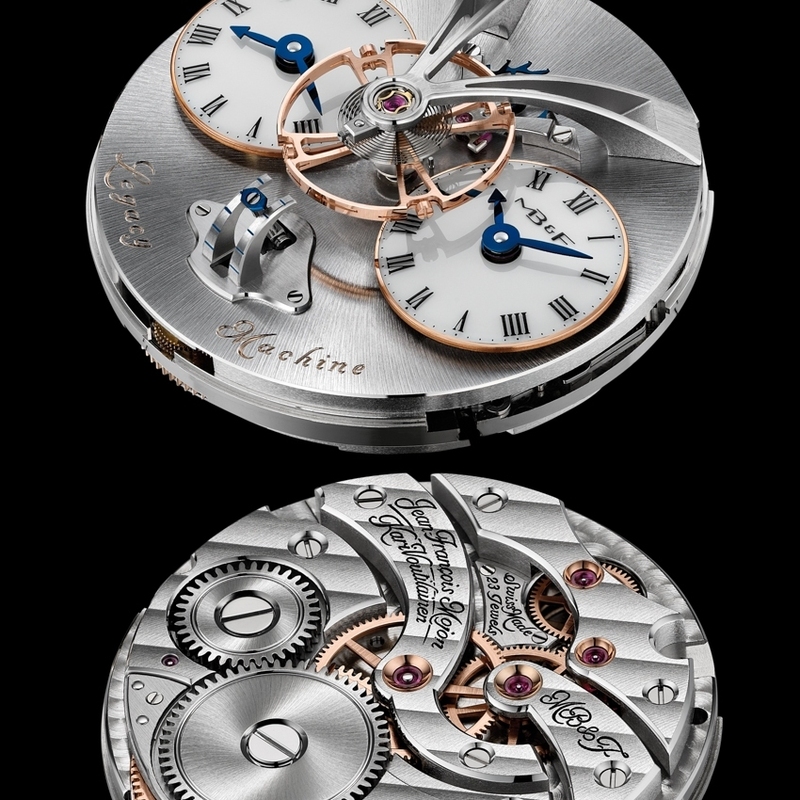 This three-dimensional "machine" is true to the imposing construction of nineteenth-century pocket watches, with superlative finishing throughout in the finest Legacy spirit.